Successfully Added 12 Hour AM/PM Time Cube to your Shopping Cart. Brand new version of our famous TIME CUBE! This stylish clock makes a futuristic addition to any desk or night stand. 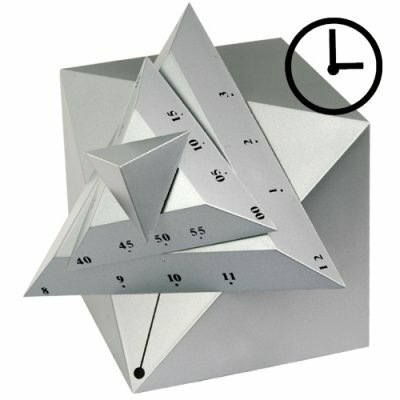 This one-of-a-kind desk clock is called a Time Cube and for good reason - instead of conventional hands a section of one of the corners has been divided into three separate rotating triangular slices that rotate around a central reference line. The triangular slices are numbered like a conventional clock with the smallest slice functions as a second hand. A great wholesale item offered with direct shipping right your door. Click "add to cart" to order yours today and we will ship it out to you tomorrow! Its a good looking & unique product. No one can stop him/her-self to BUY this Product.